“You” (hereby referred to as the “Client” whether this be an individual or group), in accordance with these Terms & Conditions, engages The RAAJ Events Limited (a company registered in England & Wales, registered number 10482904) – hereby known as “The RAAJ” - to provide agreed services. The RAAJ agrees to provide these agreed services to the Client on the event date subject to these Terms & Conditions. The Client agrees to keep the contents of the Client Service Agreement and any other verbal or written communication with The RAAJ confidential throughout the term of the agreement between the Client and The RAAJ. Details of the services to be provided by The RAAJ to the Client will be detailed in a Description of Services specification which will be produced by The RAAJ and communicated with the Client via email. All instructions from the Client to The RAAJ, whether verbal or written, are subject to these Terms & Conditions, without exception. Throughout the term of the agreement, the Client must update The RAAJ on any information which may directly or indirectly affect the ability of The RAAJ to deliver the Client Service Agreement. The Client shall be liable for costs incurred as a result of the Client's instructions or lack of instructions, the inaccuracy of any Client material or any other cause attributable to the Client. The RAAJ does not warrant, guarantee or undertake on behalf of any third party supplier or service provider that access to any facilities or any products or services will be uninterrupted or of any particular level of availability or quality. 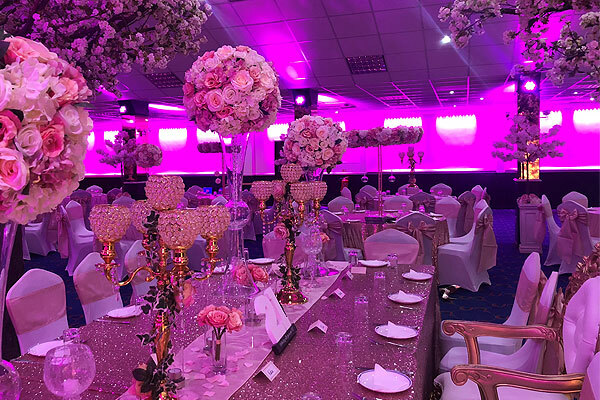 It is the client’s responsibility to ensure that any access to the venue required by THE RAAJ or service providers is provided, as failure to do so could compromise the quality of service. The Client understands that the request for a specific artist or performer or service provider is only a request until availability is confirmed in writing by THE RAAJ. To secure a booking for the services of The RAAJ, a non-refundable deposit of 25% must be paid by the Client to The RAAJ via accepted credit / debit cards or via bank transfer. All charges include VAT at the current UK prevailing rate. Payment of this deposit confirms the Client’s acceptance of these Terms & Conditions and details in the Client Service Agreement being unequivocally correct and accepted by the Client. Receipt of the deposit payment will be acknowledged by The RAAJ to the Client in writing. The remaining balance payment relating to the Client Service Agreement will also be outlined and communicated with the Client. Subject to any special terms agreed in writing by the parties, the Client shall pay (and is liable to pay) the deposit, the remaining balance payment and any expenses, together with such additional sums which are agreed between The RAAJ and the Client for the provision of the services as detailed in the Client Service Agreement. The RAAJ has received the full balance payment (the total value of the contract including VAT less the value of the initial deposit paid to secure the services) from the Client for the services as outlined in the Client Service Agreement at least 14 days prior to the event date, or if different, as agreed in writing with a member of The RAAJ management team via email correspondence. If, in the event that a booking is made in short notice i.e. within the 14 days before the event date, the Client agrees that the deposit and balance payment must be paid immediately. Failure to do so will result in an incomplete booking and The RAAJ may rely on the usual termination terms outlined in these Terms & Conditions. If the deposit and remaining balance payment is not made at least 14 clear days before the event date (not including the event date), The RAAJ shall be entitled, without limiting any other rights it may have, to charge interest on the outstanding amount to the Client (both before and after any judgment) at the rate of 4% above the base rate from time to time of Bank of England PLC from the date notice should have been given being the 14th date before the event date until the outstanding amount is paid in full. The Client shall reimburse The RAAJ for all out of pocket expenses incurred by it in connection with the services & additional services for the client. The RAAJ will not be obliged to provide any services unless the deposit, balance payment, all fees and disbursements due to it in relation to the provision of the services are received from the Client in advance of the event date. The RAAJ shall be entitled to vary its standard charges & pricing from time to time by giving not less than 7 days written notice to the Client. Any changes / cancellation made to this contract must be agreed and signed by both parties. 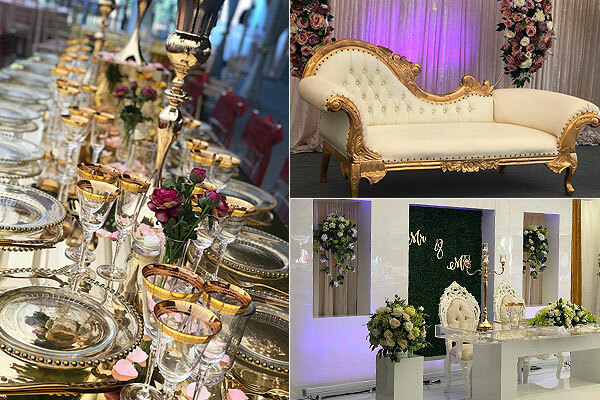 In the event the client is forced to change the date of the wedding or event, every effort will be made by THE RAAJ to transfer location reservations, sub-contractors and personnel support to the new date. The client agrees that in the event of a date change any expenses including but not limited to deposits and fees that are non-refundable and non-transferable are the sole responsibility of the client. 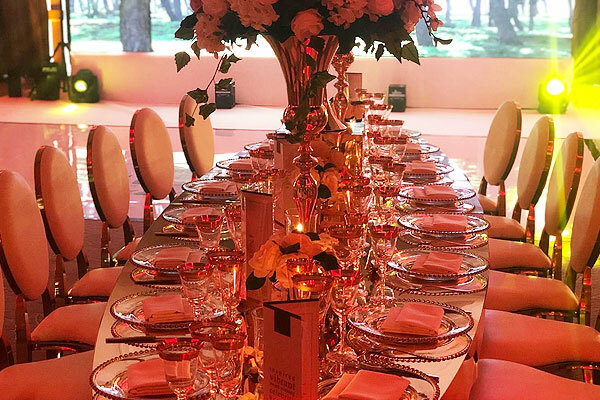 The client further understands that last minute changes can impact the quality of the event and that THE RAAJ is not responsible for these compromises in quality. If the client changes the date / location of the wedding or event and THE RAAJ is unavailable to provide the agreed services on this new date, then THE RAAJ is released from all contracted obligations and shall in no way be held responsible or liable for non-performance. The client also forfeits all costs for non-compliance with this agreement. More than 90 days before the event date - Deposit forfeited. 90 days or fewer before the event date - Client is liable for full payment. The RAAJ reserves the right to cancel / terminate the Client Service Agreement relating to the Client’s function if payment conditions (outlined in the ‘Bookings / Payments’ section in these Terms & Conditions) are not upheld. The RAAJ shall not be liable to the Client or be deemed to be in breach of the Client Service Agreement by reason of any delay in performing or any failure to perform any of The RAAJ's obligations under the Client Service Agreement if the delay or failure was due to any circumstances or cause beyond The RAAJ's reasonable control, including force majeure. Without prejudice to the generality of the foregoing, circumstances beyond The RAAJ's reasonable control shall include acts of God, server crashes, virus attacks on equipment, fire or accident, war or threat of war, sabotage, insurrection, civil disturbance or requisition, acts, restrictions, regulations, byelaws, prohibitions or measures of any kind on the part of any governmental, parliamentary or local authority, damage, bad weather, software, power or equipment failure, strikes, lockouts or other industrial actions or trade disputes (whether involving employees of The RAAJ or of a third party). The RAAJ warrants to the Client that the services as detailed in the Client Service Agreement will be provided using reasonable care and skill. Except in respect of death or personal injury caused by The RAAJ's negligence, or as expressly provided in these Terms & Conditions, The RAAJ shall not be liable to the Client by reason of any representation (unless fraudulent), or any implied warranty, condition or other term, or any duty at common law, or under the express terms of the Client Service Agreement, for any loss of anticipated savings, business revenues, or profits (whether categorised as direct or indirect) or any indirect, special or consequential loss (including losses arising from business interruption, wasted management time, loss of goodwill, data and all other such loss whether or not arising in the normal course of business), damages, costs, expenses or other claims (whether caused by the negligence of The RAAJ, its servants or agents or otherwise) which arise out of or in connection with the provision of the services or their use by the Client. The entire liability of The RAAJ to the Client under or in connection with the Client Service Agreement shall not in any event nor under any circumstance exceed the amount of the charges paid by the Client for the provision of the services set out in the Client Service Agreement between The RAAJ and the Client. The Client agrees to indemnify and keep The RAAJ fully indemnified from and against any loss, claim or liability whatsoever incurred or suffered by The RAAJ as a result of negligence or any default by the client (or its employees, agents or representatives) of its obligations however arising in connection with the services, together with expense, claim, loss or damage which The RAAJ or any of its employees, agents, sub-contractors and other clients) may suffer due to the negligence or breach of the Client (or its employees, agents or subcontractors). The Client agrees and acknowledges that the allocation of risk is fair and reasonable in the circumstances having been taken into account in setting the level of the charges. The RAAJ may employ sub-contractors for carrying out any part of the services and shall be entitled at all times, in its absolute discretion, to decide the number of and which of its employees, agents or sub-contractors shall provide the services on behalf of The RAAJ. The RAAJ and the Client acknowledge and agree that the Client Service Agreement shall not establish or constitute any relationship of partnership, joint venture, franchise or agency between the parties except as otherwise expressly provided or agreed and neither party shall have the power to bind the other without the other's prior written consent. English law shall apply to the Client Service Agreement and these Terms & Conditions, and the parties submit to the jurisdiction of the English courts.